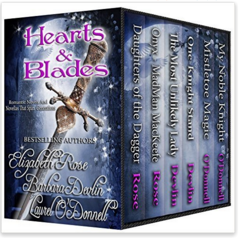 For this week’s Medieval Romance Monday, we are featuring Hearts and Blades: Romantic Novels and Novellas that Span Generations — a great new boxed set from 3 Amazon best-selling medieval romance authors. 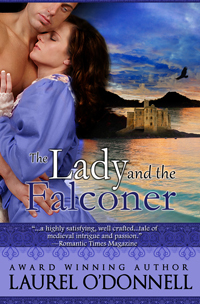 Mirabelle de Burgh is desperate to conceive a child for her husband, the earl. She listens to an old superstition that for every jeweled dagger bought from a bind old hag, she will conceive a child. But when she tries to steal a fifth dagger, her life changes forever. 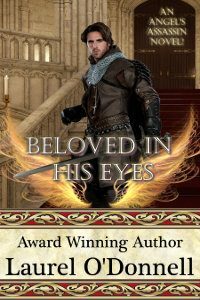 Onyx MacKeefe has been raised as a Highlander, and takes the Englishwoman, Lovelle, captive as they search for the stolen Book of Hours that upon its return will save his mother’s life. Woo a young lady with a fishing rod and a bucket of worms? Oh-so dashing–but untitled–Everett Markham seeks a bride, and he has charged the field of Miss Sabrina Douglas, a woman who prefers trout to truffles. But, sometimes, even when both hearts are engaged, happily ever after isn’t so smooth a journey. 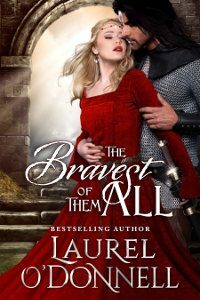 After an injury at sea leaves Nautionnier Knight Lance Prescott bedridden, and his rival captains Lance’s ship, he drowns in a dangerous mix of anger, frustration, and jealousy. When Cara Douglas proclaims him the man of her dreams, Lance vows, “I will never be your husband.” But Miss Perfect will not be deterred and acts completely out of character, making him an offer he dare not refuse. For two people so alike in every way, what could possibly go wrong? In a word: Everything. 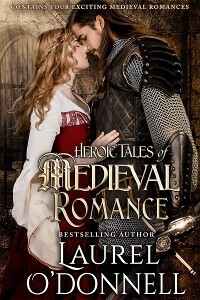 Layne Fletcher desires to joust in a real tournament, using the skills she has been taught by her brothers. 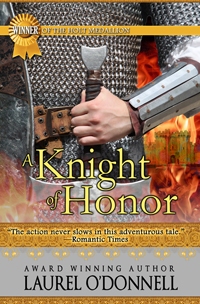 Griffin Wolfe, an honorable knight discovers her facade and demands restitution. 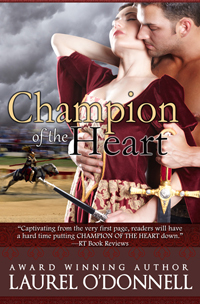 Will he be able to teach her how to behave like a lady and hide his attraction to her while keeping his focus on the jousting tournament? ELIZABETH ROSE – Elizabeth Rose is the author of 50 books and also an amazon top 100 author in the historical romance category. 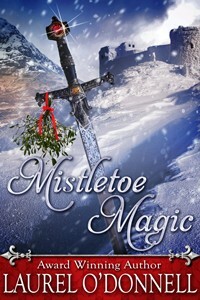 She writes medieval, small town contemporary, paranormal, and western romance. 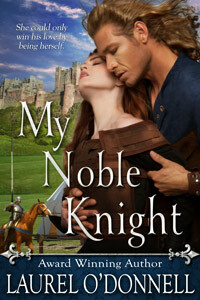 You can find out more about her books and audiobooks by going to her website at http://www.elizabethrosenovels.com. BARBARA DEVLIN – Bestselling author Barbara Devlin writes heartfelt historical romances that feature flawed heroes who may know how to seduce a woman but know nothing of marriage, and she prefers feisty but smart heroines who sometimes save the hero, before they find their happily ever after. 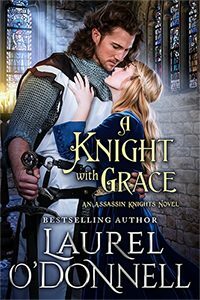 LAUREL O’DONNELL – Laurel O’Donnell has won numerous awards for her works, including the Holt Medallion for A Knight of Honor, the Happily Ever After contest for Angel’s Assassin, and the Indiana’s Golden Opportunity contest for Immortal Death. 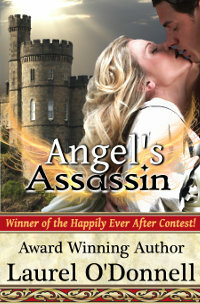 The Angel and the Prince was nominated by the Romance Writers of America for their prestigious Golden Heart award. O’Donnell lives in Illinois with her four cherished children, her beloved husband and her five cats. 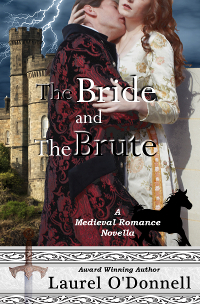 She finds precious time every day to escape into the medieval world and bring her characters to life in her writing.